These are some of the greatest cookies I’ve ever tasted. 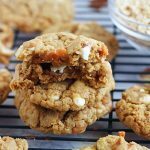 The combo of orange and white chocolate flavors were meant to be. I was so pleasantly surprised at how much they tasted like a real creamsicle too. Mmmmm! We loved them right out of the oven, and after they had cooled down. They practically melt in your mouth. 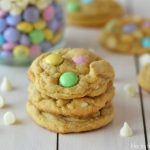 This recipe is going in my ‘amazing cookie’ file! Preheat oven to 350 degrees. In a medium bowl, combine flour, baking soda and salt. Set aside. In a large mixing bowl, beat butter and both sugars together until light and fluffy. Beat in egg and vanilla until well mixed. Gradually add in the flour mixture until combined. Stir in orange zest and white chocolate chips. 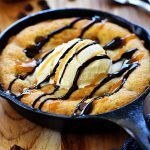 Drop by heaping tablespoonfuls onto a large cookie sheet. Bake for 10-11 minutes. orange creamsicle might just be the yummiest flavor ever. And in a cookie? Yes please! 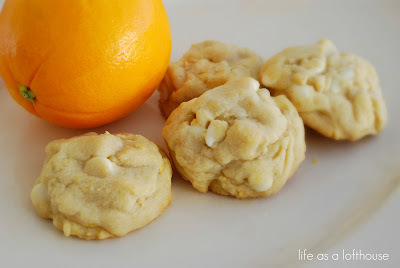 I have been on a serious orange kick lately – and these totally fit the bill! Those do look delicious. 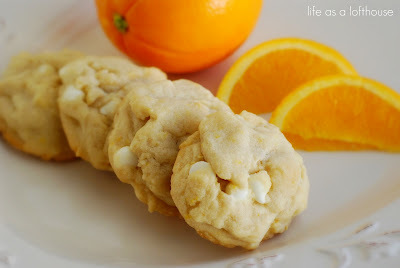 I think citrus cookies at the holidays are a must! Happy New Year. Thx for this recipe, who doesn’t love Creamsicles – yummy! Love the drink, so I can only imagine how great these cookies taste! Oh, these DO look amazing! White chocolate and orange is a fabulous combination! How unique…they sound absolutely delicious!! I need to try these for my husband. He loves orange cream soda, these would be a hit! Yummiest cookies ever! So addicting! I can’t wait to make these cookies!!! Orange dreamsicle popsicles I have always loved and these cookies are looking so delicious!!! Can’t wait to try using my orange essential oil in place of the orange zest or orange flavoring. Yummy!! Has anyone tried these with dried cranberries added?